Fashion Polish: New piCture pOlish Opulence : Lizzie, Bridget & Darcy! New piCture pOlish Opulence : Lizzie, Bridget & Darcy! 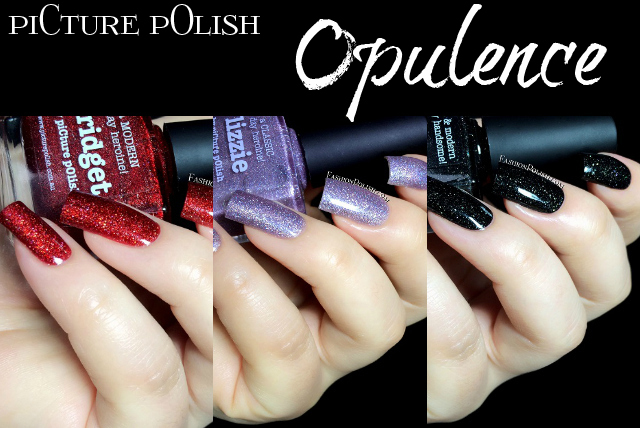 The last review today features the last 3 additions to the piCture pOlish Opulence range, all re-editions from the retired Ozotic 600 series. Formula was really nice on all 3 polishes : thin but easy to work with, no dragging or bald spots, fully opaque in 2 coats. Lizzie (Ozotic 606 re-edition) is a pastel lilac with the PP signature scattered holo. It's a soft color and the holo adds a nice touch to it. I used 2 coats plus topcoat. 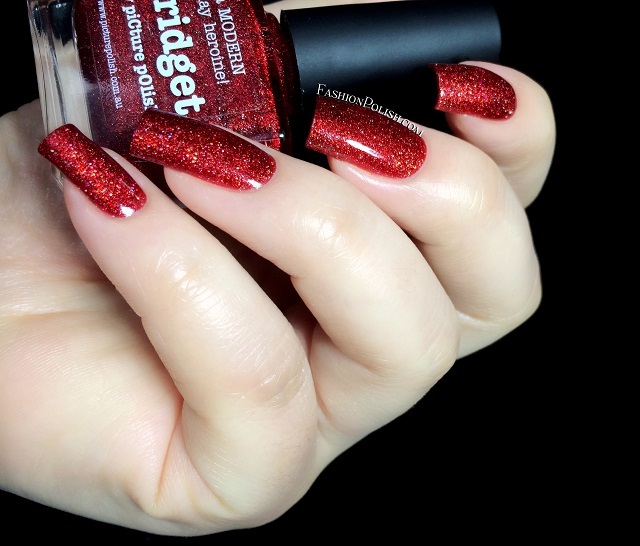 Bridget (Ozotic 621 re-edition) is an intense red scattered holo. I remember LOVING 621 and Bridget is just as bold and glorious. Don't you just love a beautiful red? Shown here : 2 coats plus topcoat. The new piCture pOlish Opulence shades can be purchased on piCturepOlish.com.au and retail for AU$12 each. Make sure to check the International Network Page to find a list of etailers in your country. So which one's your favorite? Do you have any of the original Ozotic 600 series?